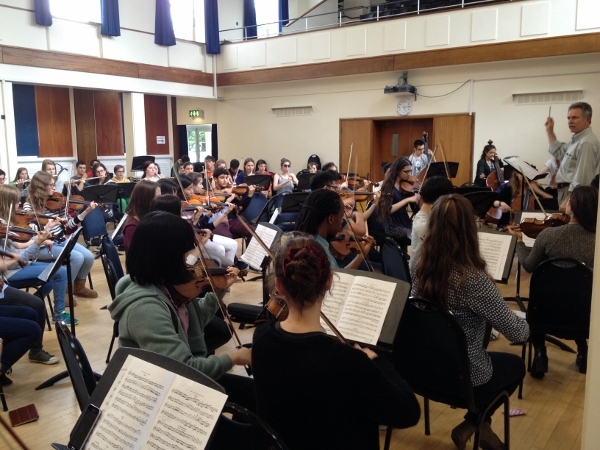 Rehearsals have started for our annual Choral and Orchestral Concert at St Albans Cathedral, which takes place on Wednesday 1 July at 7.30pm. Here Mr Hathway conducts a first rehearsal of Handel’s Music for the Royal Fireworks, with as many players as he can fit in. With other works by Handel, Barber and Mozart, it promises to be another memorable evening.